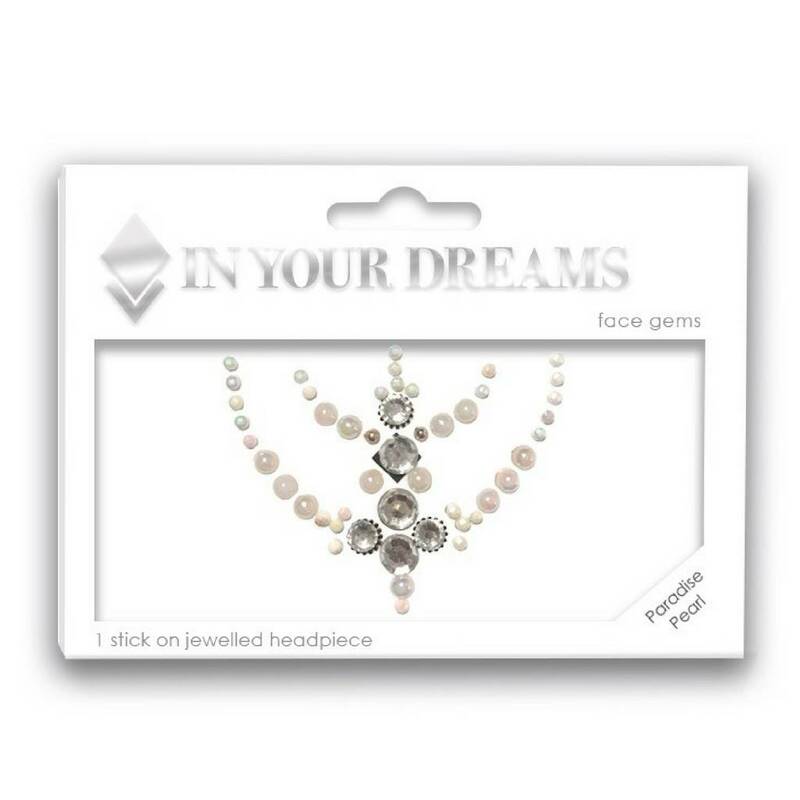 Inspired by one of our most popular party looks this jewelled adhesive headpiece allows you to apply this intricate design for yourself, in seconds. 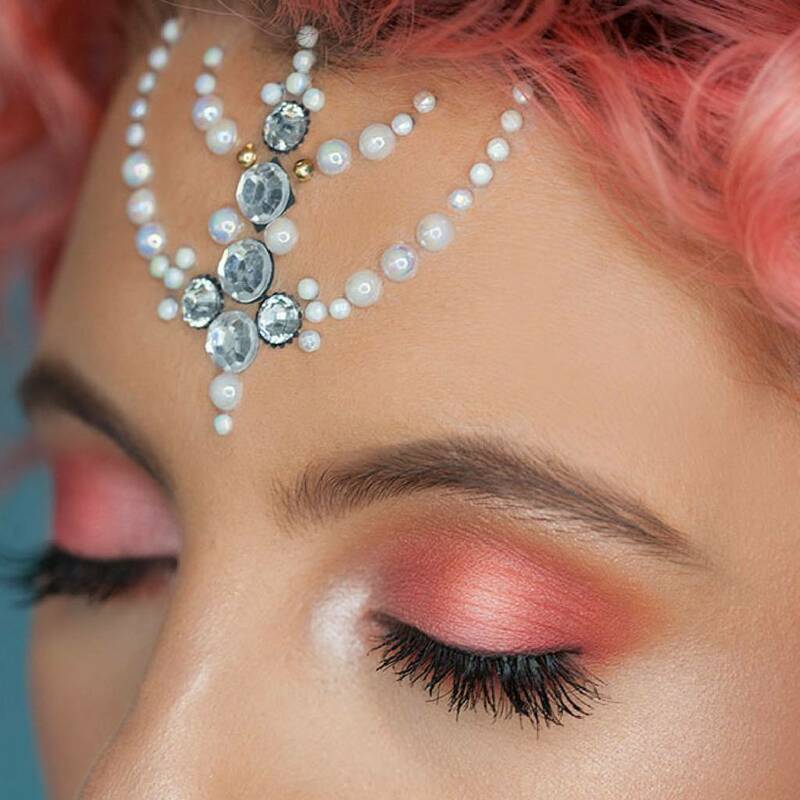 Inspired by one of our most popular party looks this jewelled adhesive headpiece allows you to apply this intricate design for yourself, in seconds. Made up of iridescent jewels and pearlescent gems, this headpiece brings a taste of paradise to your party look. 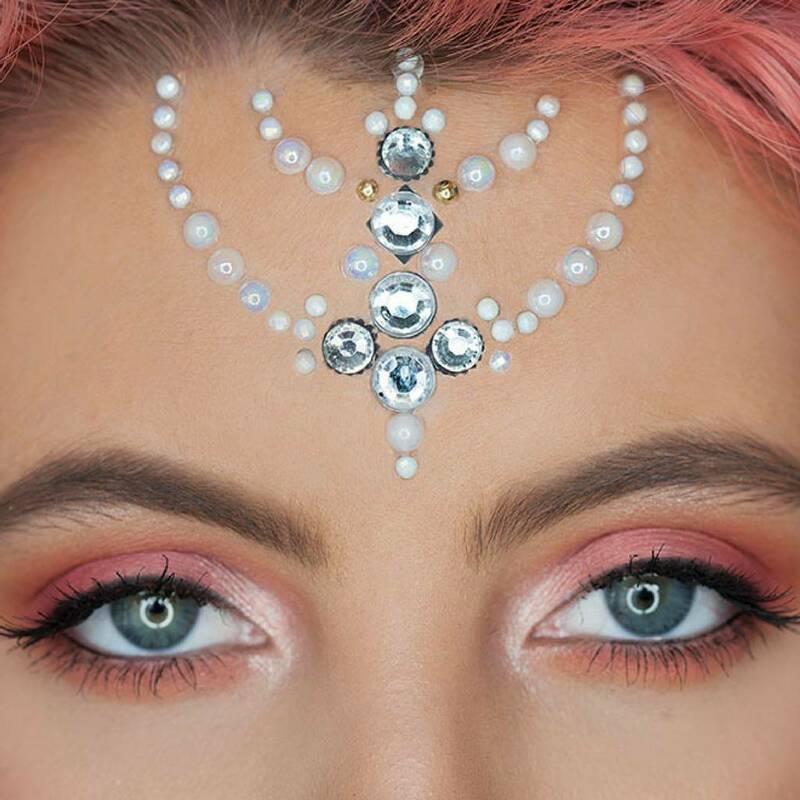 Face gems and jewels are the must-have beauty accessory for 2017. Perfect for festivals and celebrations this look is great for a night out with the girls, work parties, weddings and holidays. If you need a bit of inspiration – check out our Instagram feed. 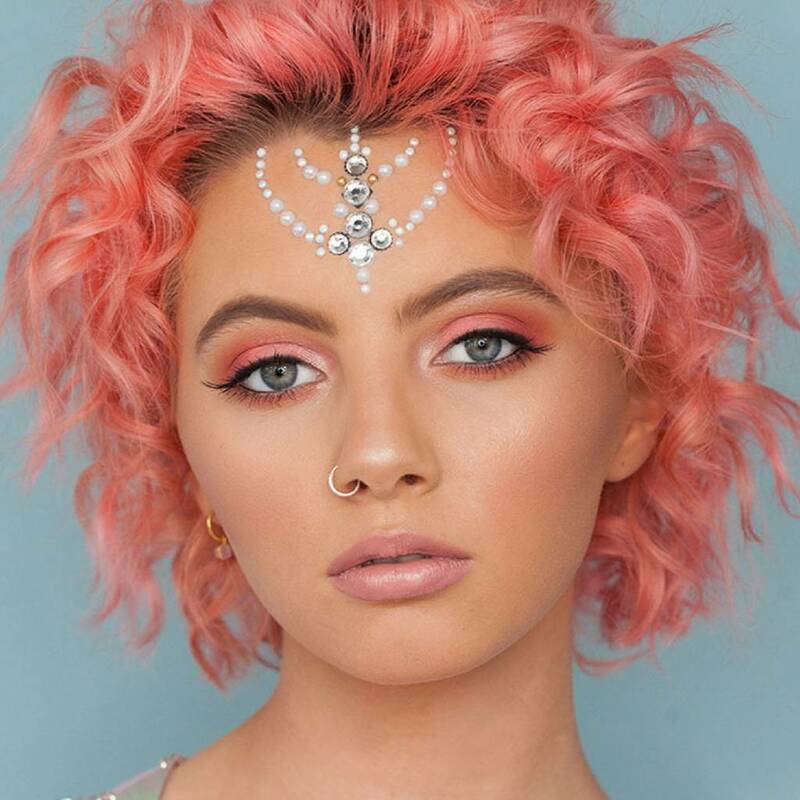 Our community of Dreamers has been combining headpieces with our other products to create unique custom looks – why not try it yourself. This piece has been designed for your forehead but can be used anywhere on the skin. Store your jewels in a clean and dry place.